Adkin High School opened in the fall of 1928 and graduated its last class in 1970.
teachers at Adkin who helped shape their lives. In 1951, students orchestrated a life-changing moment when they initiated a walkout at Adkin High School. Five seniors represented the high school’s 720 students at a meeting with the school board, in which the students presented demands for greater educational resources. When the school board rejected their requests, the students executed a plan of action they had devised among themselves. They elected to keep it from their parents and teachers in order to protect them from potential repercussions. The demonstration received wide press coverage in eastern North Carolina. Within a year and a half, a new vocational building and new classrooms were built, a swimming pool installed, and the grounds expanded and landscaped to prevent flooding. The school also acquired a new gymnasium, the largest of any black high school in the state. The following documentary video, by Holly Holder, a resident and high school senior in Kinston at the time of the resource's creation in 2017, tells the story of the Adkin Walkout with images, interviews, and discussion by an historian. Dates of Adkin High School's opening and closing from "History of Adkin High School." Adkin Alumni & Friends. http://adkinhighschoolkinston.org/history.html (accessed October 6, 2016). Bryan, Sarah, Beverly Bush Patterson, Michelle Lanier, and Titus Brooks Heagins. African American Music Trails of Eastern North Carolina. (China, 2013), p. 35-37. Holder, Holly. "Adkin High School Walkout Final." 2017. https://youtu.be/XUZnJ4_DanE (accessed March 20, 2018). 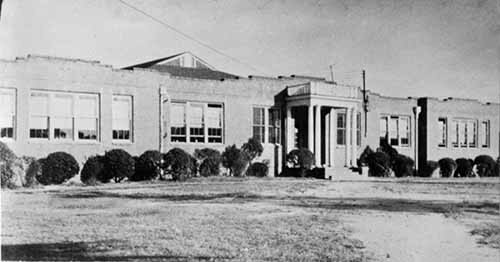 Adkin High School 1951. http://adkinhighwalkout.weebly.com/ (accessed March 20, 2018). Adkin High School (c. 1928). Southeast corner, Clay Street and East Washington AVenue, Lenoir County, Kinston, North Carolina. N_2003_11_24. State Archives of North Carolina.